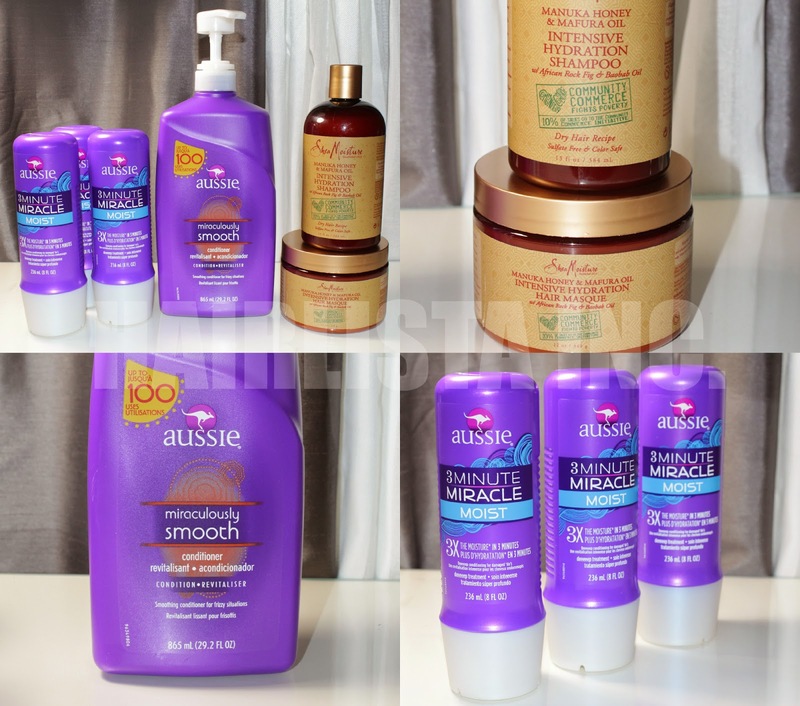 Product Haul: Aussie Moist + Aussie 3 Minute + Shea Moisture Manuka Honey & Mafura Oil - Hairlicious Inc.
Wow, I've never heard of the Aussie miraculously smooth and I live in the states. I must try it! Thanks for sharing! Thanks a lot for this review and I would love to have a try with it. In this case, silk is not a protein. It's a simply an extract along with Jasmine. However, silk can become a protein if it's hydrolyzed. How did it go? Do you think the three minute moist any better than the regular moist. And also is the smooth big size better than the regular moist? Hi hun, I love the Aussie Smooth over the 3 minute and regular moist so much more. Yes, it's the same size as the Aussie Moist with the pump.